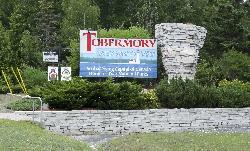 The Tobermory welcome sign, along Highway 6. 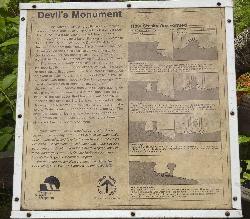 A replica of a flowerpot is set beside the sign. from site: Cabot Head is a point of land on the northeast tip of the Bruce Peninsula in the Canadian province of Ontario. The Bruce Peninsula separates Georgian Bay from the rest of Lake Huron. Cabot Head is so named in honor of the explorer John Cabot, although Cabot never explored the Great Lakes. 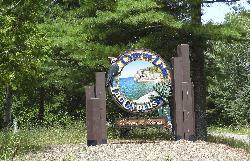 from site: Cabot Head is situated on the Bruce Peninsula, in the northeastern extremity of the former Lindsay township (now part of the Municipality of Northern Bruce Peninsula), some five miles north of Dyer Bay, a cottage hamlet overlooking Georgian Bay.